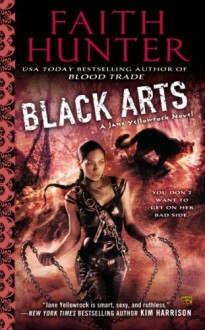 Jane Yellowrock is a shape-shifting skinwalker who always takes care of her ownno matter the cost.... When Evan Trueblood blows into town looking for his wife, Molly, he’s convinced that she came to see her best friend, Jane. But it seems like the witch made it to New Orleans and then disappeared without a trace. Jane is ready to do whatever it takes to find her friend. Her desperate search leads her deep into a web of black magic and betrayal and into the dark history between vampires and witches. But the closer she draws to Molly, the closer she draws to a new enemyone who is stranger and more powerful than any she has ever faced.